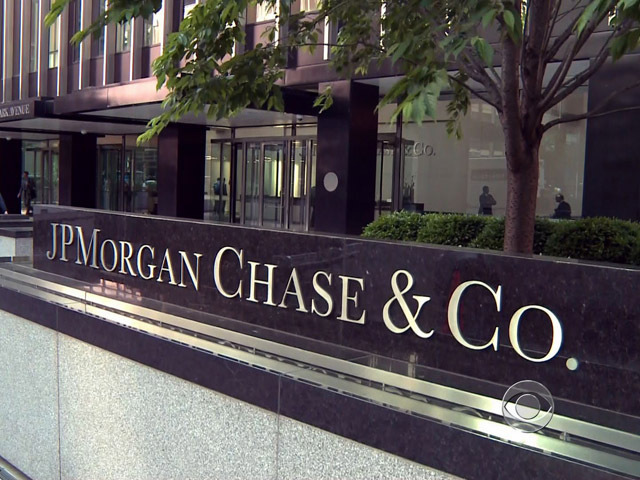 (CBS/AP) Democratic U.S. Sen. hopeful Elizabeth Warren is calling on the CEO of JPMorgan to resign from the Board of Directors of the New York Federal Reserve Bank after the largest bank in the U.S. claimed a surprise $2 billion loss by one of its trading groups. Warren, who is challenging Republican Sen. Scott Brown for the late Sen. Edward Kennedy's former seat, helped create the Consumer Financial Protection Bureau. She says in a statement Saturday that Americans are frustrated that Wall Street has not been held accountable for one of the biggest financial crisis in generations and doesn't appear to consider itself responsible. She says the resignation of JPMorgan's Jamie Dimon would signal to Americans that "Wall Street bankers get it" and to "show that they understand the need for responsibility and accountability." Appearing on NBC's "Meet the Press" Sunday, Dimon called the trading loss a "terrible, egregious mistake," adding, "there's almost no excuse for it." Dimon has been critical of the so-called Volcker rule -- part of President Obama's Wall Street regulatory overhaul, the Dodd-Frank Act - which bars banks from trading with their own funds. But he acknowledged Sunday he's given new ammunition to the Volcker rule's supporters. "This is a very unfortunate and inopportune time to have this kind of mistake," he said. Democratic Sen. Carl Levin of Michigan, a leading advocate of the Volcker rule, said on "Meet the Press" that because of this mistake, Dimon and other opponents of the rule "will lose their battle in Washington to weaken the rule. That is the real price."